WASHINGTON — Virginia’s Department of Elections has found even more voters likely assigned to the wrong districts across the state following tight House of Delegates races last fall, including one tie determined by a random drawing, where the problem could have determined control of the chamber. The department has helped several local registrars and electoral boards identify misassigned voters since the significant issues were revealed following November’s election, according to a presentation set to be given Tuesday to the State Board of Elections. Northern Virginia registrars had already confirmed hundreds misassigned to the wrong state, federal or local districts just in this area. The House of Delegates ended up split 51-49 in favor of Republicans. The voter assignment errors are largely blamed on data entry mistakes in the state’s voter registration database that was implemented in the mid-2000s. The system offers checkbox options to local elections officials to select the appropriate congressional, state Senate, House of Delegates and local government district assignments for groups of voters in a given range of addresses on a specific street. The state does not require the use of any mapping software, and there is no requirement that any state or local agency double check the assignments. Many of the wrongly assigned voters are very close to boundary lines for districts, but others are not and could have been clearly caught if the system included a check of maps, the presentation suggests. 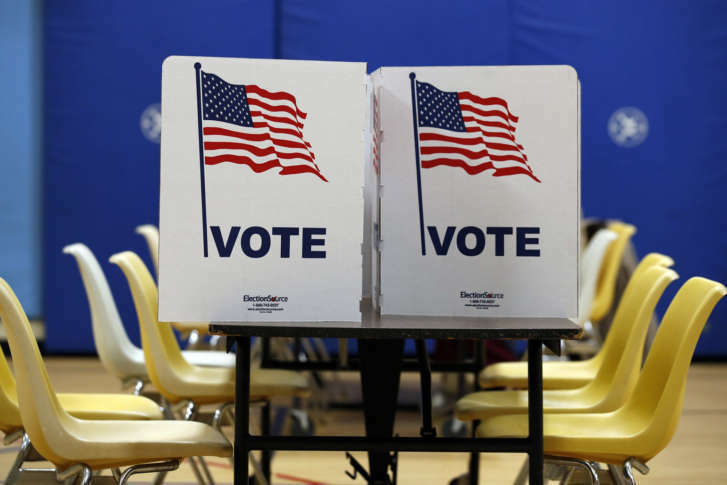 That includes misassigned voters between the 28th and 88th House districts in Stafford County and Fredericksburg, where some issues had been raised years before the tight 2017 election decided by fewer than 100 votes. “The Code of Virginia does not provide any single entity explicit oversight regarding modification of local election district lines,” the presentation to be given by Commissioner of Elections Chris Piper said. “No one is legally required to verify that voters are properly placed,” the presentation said. After the General Assembly draws congressional, House of Delegates and state Senate lines every 10 years, local governments draw lines for local offices and determine precinct boundaries. The General Assembly’s lines are based on the precincts as they existed before local governments tweak the lines, which can create some additional confusion for elections officials who do not fully understand the process. There is also no verification process to confirm that local election district lines or precinct lines were properly drawn in accordance with any language passed by a local government. The state Department of Elections “has no oversight in ensuring voters are properly placed in the correct precinct,” the presentation said. To analyze where voters are misassigned now, the department looked at geographic information system mapping data and sent information about voters likely assigned to the wrong districts back to local elections officials for a fix. A summary map example of congressional districts shows a number of issues mainly along the borders of districts including the 1st, 5th, 6th, 7th, 10th and 11th in and around Northern Virginia. In addition to simple human error, other drivers of mis-assigned voters include historical disputes or only informal agreements over county lines, and misunderstandings of how precincts are described in Virginia redistricting laws. Another issue is “incorrect use of county information,” such as tax or utility services bills to identify where a person lives. The Department of Elections report finds that registrars have incorrectly determined that some voters live in a certain jurisdiction or election district because the voter pays taxes or receives utility services from a particular locality, even though state policy sets a person’s voting location based on the actual location of where they sleep rather than their address. “A person whose residence is divided by a jurisdictional boundary line or election district boundary line shall be deemed to reside in the location of his bedroom or usual sleeping area,” the state policy states. The problem arises when a home is only accessible from one county, but actually sits in another. The presentation does not provide complete answers on a fix, although many localities have renewed checks meant to avoid similar problems in the future. The Department of Elections promises to work with the General Assembly and local governments on improvements, like potentially expanding use of improved mapping software. While misassigned voters’ ballots will stand for 2017 and each other election they have voted in the wrong race, the State Board of Elections is set Tuesday to change the official results of November’s elections for another reason: the wrong numbers were reported. “Amherst County, Brunswick County, and Nelson County electoral boards all discovered early this year that they reported incorrect vote totals for certain offices during their canvasses for the November 7, 2017 general election,” a memo to the State Board of Elections said. Amherst County and Brunswick County made mistakes in data entry, while Nelson County failed to include the votes on ballots that were hand counted after being rejected by the regular vote-counting machines. The updated votes do not change the outcomes of any of the elections the board is set to recertify Tuesday (governor, lieutenant governor, attorney general, House of Delegates District 20, or House of Delegates District 75). The changes are as small as one-vote swings in some races in individual areas, but the new count subtracts 357 votes from now-Gov. Ralph Northam’s total and increases Republican Ed Gillespie’s total by a single vote. Even under the new numbers, Northam won by a significant margin with nearly 54 percent of the vote. The revised counts increase the number of votes received by now-Lt. Gov. Justin Fairfax by 151 votes, and by Republican Sen. Jill Vogel in the lieutenant governor’s race by one vote. Attorney General Mark Herring adds one vote, while his challenger Republican John Adams adds 201 votes. One of the revised House of Delegates districts, the 75th, had Democratic Del. Roslyn Tyler running unopposed. The correction increases the number of write-in votes in the race.